You’ve decided that you want to do a CIM course; you’ve done your research, looked around online, visited a couple of schools, but you are still not sure how to choose a CIM study center that suits you. Do not worry. We have 4 tips to help you make this decision. When choosing a CIM Study Center, you should consider your schedule. You do not want your study schedule to collide with your professional life. It is important to make sure the Study Center you settle for is flexible enough to accommodate your busy lifestyle. Check out their time tables and choose one that works well with your schedule. Your professional life should not suffer on account of your academic life or vice versa. Make them both work for you. We are in a digital age now, this means that we can have classes conducted online. However, most people prefer face to face interaction with lecturers and fellow students. 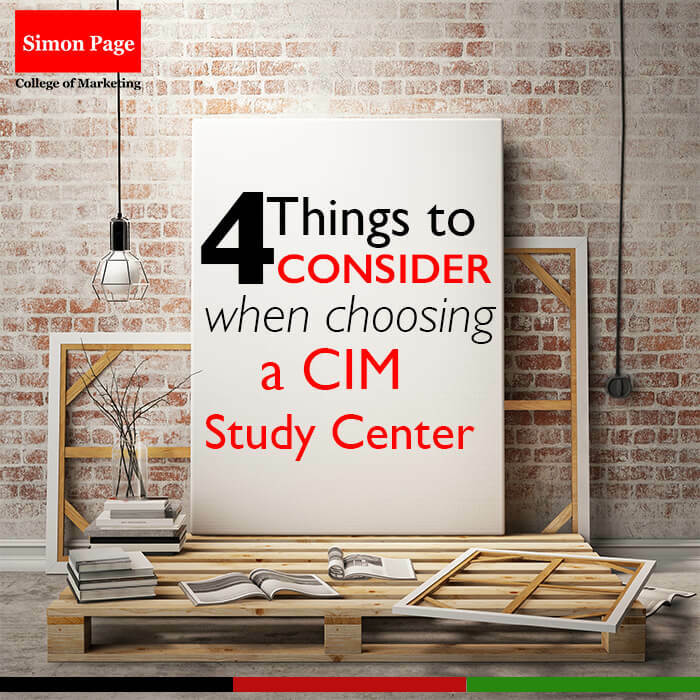 When choosing a CIM Study Center it is important to consider this. If you value the ‘face-to-face’ interaction you should choose a CIM Study Center with ample classroom sizes. You do not want to be cramped up for a whole lesson feeling uncomfortable. After a stressful day at the office or in a classroom the last thing you want is to immerse yourself in a hectic environment. Peace and quiet should be top of your list. So when choosing a CIM Study Center, consider its location. Does the place create an environment where learning is conducive or will you have to struggle over unnecessary noise and lights? Remember a conducive learning environment is crucial to effective learning. When you have checked the first three points off your list; location is the next factor to consider. A CIM Study Center should be conveniently located. This will save you time and the stress of missing classes because of distance. You can choose to have a CIM Study Center that is in a central location between your work and home like the CBD in Nairobi. You can also choose to have a CIM Study Center that is closer to either home or office. You just have to make sure that whatever CIM Study Center you choose is convenient. Digital marketer with a passion for copy writing and creative direction.